There is a lot to see and do in Maine. Here are a few ideas for your next trip! We stayed in Bangor, as it was central to most of the things we wanted to do. No trip to Bangor is complete without a trip to Stephen King’s house. I’ve been a fan of his writing all my life, and his house is exactly what you would expect. We spent the drive up to Bangor driving up the coast and checking out lighthouses. I have always loved lighthouses and Maine does not disappoint in this area. It is home to 65 lighthouses. They are spread out among miles of coastline, inlets, and islands. Many are not accessible by car, so we opted to leave those off our list. We managed to see 18, including a Canadian one! There are still many more to see and we are not done with Maine just yet. I won’t bore you with the list, but I will show you a few pics. If you are in search of lighthouses, keep in mind that several are on private property but can be viewed from the street. The wildlife you can see in Maine is unbelievable. All week long we waited to see a moose, but it never happened (though my son did, but that’s another story). We did, however, see seals, dolphins, eagles, and a bear! Sadly, the only ones I got pictures of were the dolphins. You just never know what you will see. Another stop along our way was in Bar Harbor. As expected, it was crowded and filled with other tourists, but is quaint and beautiful. They have some great little shops on Main Street and one of my favorites was the Bar Harbor Tea Company. All their artisan teas are crafted by them and the shop owner is extremely knowledgeable. She helped me pick out some amazing teas. They also have a great collection of fine bone china tea cups for sale. They are worth a stop if you are in town. Also, in the Bar Harbor area is Acadia National Park. Simply beautiful. You can drive the 26-mile loop through the park, go to the top of Cadillac Mountain, hike, swim, etc. $30 will buy you a 7-day pass. We went to the top of Cadillac Mountain for some breathtaking views. One of my favorite shops to visit was the Maine State Prison showroom. I suppose I should preface this by saying that the showroom is not on prison grounds, but it is staffed by prisoners who are nearing release. This is to prepare them to get jobs upon release and to interact with people. The very nice gentleman that runs the store and is responsible for the employees is very proud of the fact that he has never had an employee return to prison. The shop is filled mainly with woodwork but there are also candles, bags, and various other items. They are all handmade by prisoners and are top quality. The prices are unbelievable; I bought this cutting board and salad bowl for under $50 for the 2! 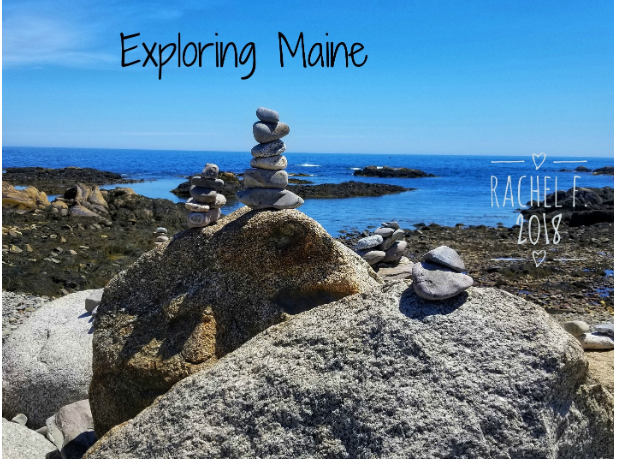 I see a few more trips to Maine in my future, but I hope that this post gave you some ideas for your next trip. I didn’t even touch upon Wild Blueberry Land or the random roadside attractions we found along the way…. maybe in a future blog. If you are interested in seeing other pictures from this trip or in following any of our adventures, be sure to check out our Instagram @adventuregirls0608 and our Facebook page with the same name! My family took a road trip to Maine several years ago and we stayed in Bar Harbor. It was so much fun and I remember seeing the lighthouses. We need to go back soon. I wish I was there as I love the house in the first picture and it would be nice to get away for a bit. Tis would be one area of Maine we would enjoy visiting. Nice to stay central so it is easy to get to everything. That tea shop sounds amazing. 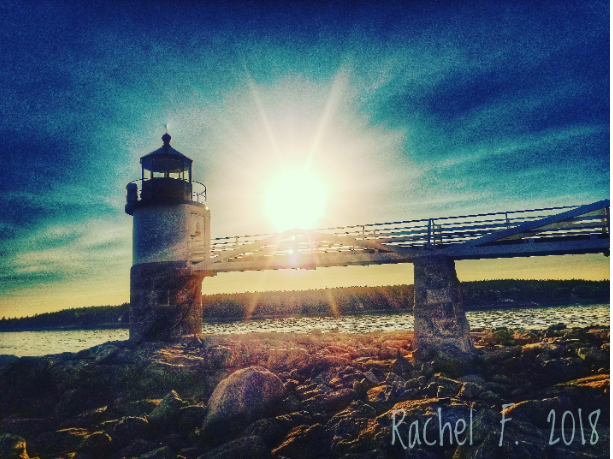 I have only been to Maine once, but it was everything you described here and so much more! I hope to go back, it was really a place that my soul connected to. I would love to go up to Maine someday. The wildlife and lighthouses were so cool. I would not want to miss the Stephen King house. I am so jealous that you got to see wild dolphins. I have only one time seeing wild often and I’ve always loved watching them. 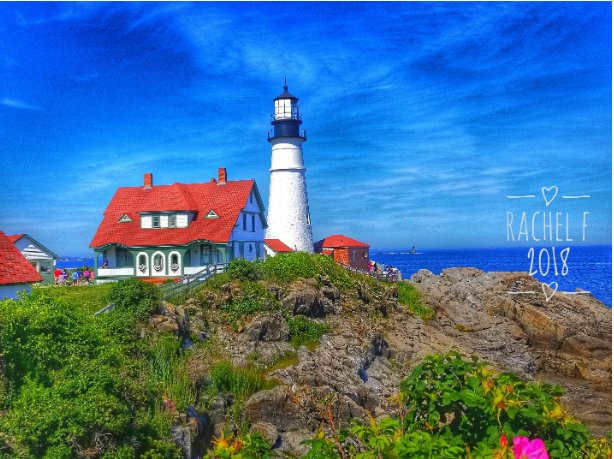 Maine is definitely on our list of places to travel too. It looks like there’s a lot to do and a lot of fun. I’m so in love with Maine. I’ve only been able to go once, but I’ve never forgotten it. It’s beyond beautiful. I love the Northeastern vibe of Maine. I like seeing lighthouses, and I think it would be cool to maybe see some dolphins! I’ve lived in New England most of my life and I still haven’t been to Maine. I’m hoping to finally get there next summer. Looks like such a beautiful spot. I love going to Maine, there’s so much to do there. I am not sure if the trio and I will get there this summer, as we may head to Rye, NH instead for our ocean day before summer is out but next year or during the fall you’ll find us exploring Maine for sure! No vacations planned here, it’s not in the budget. I have always wanted to go to Maine, I have heard so much about it. But what a cool place to explore. Very nice pics. Thanks for sharing it with us. It looks like a beautiful place. Maine is so far away from us! (we live in Florida) Our next vacation is in September, we are going to San Antonio! Maine looks beautiful.I’ve never been that far north. As far east as I’ve been has been Florida, but I think Maine creeps out a little more east than that. I’ve heard the fall colors there are just beautiful! The furthest I have ever been into Maine is the Kittery outlets. I admit, I live close but have not explored to the fullest potential. I need to though! I’ve always wanted to visit Maine. I’ve been to NY and Vermont south of the border. I need to plan a trip there soon! Awe this looks like so much fun! I have always wanted to visit here! I have never been to Maine. It looks like such an amazing and fun place to visit! We went to Bar Harbor years ago. it was beautiful and we went on a whale watching cruise, but the waters were rocky & rough! It was a fun trip though. Maine is on my bucket list of places to visit someday. I heard they have tons of blue crabs, is that true? Your photos are so stunning. Maine is one of my favorite paces, we just visited Kennebunkport! It’s so nice to go on getaways like this especially when you’re with your best friend. It’s so relaxing to just explore and do whatever you feel like doing! I think this was awesome! I have never been north at all but this looks like a great experience. I would love to visit! I lived in Bath/Brunswick for about a year back in 1996 when I was married to my first husband. He was stationed there in the Navy. It really is a gorgeous state! I loved the rocky beaches. A girls road trip sounds so much fun and I love that you travel frugally. It helps me to learn to save with your tips. I’ve never been to Maine but I added it on my bucket list a couple of years ago when I saw some photos of Maine and things to do there. Stephen King is one of my favourite authors too. So was fascinated to see that you were able to visit his home in Bangor. It must have been quite an experience.